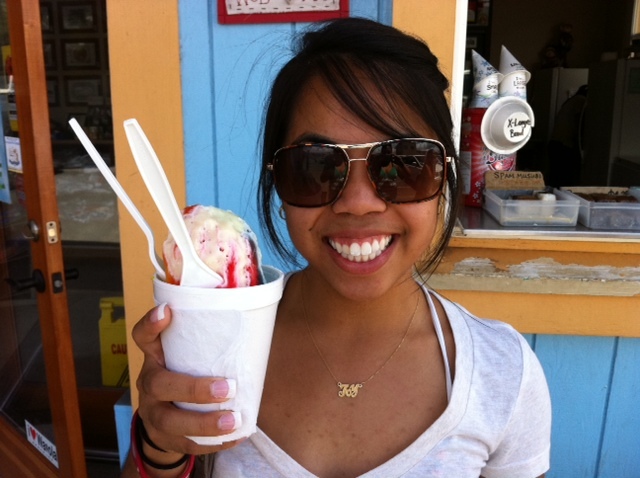 Get thee some shave ice! Coming from mild weather in San Francisco, the 88-92 degree range is just way too hot for this former island girl. I think I’ve been in front of a fan or air conditioner every chance that I could since I got to Hawaii. (Seriously, I am breaking a sweat just sitting here.) 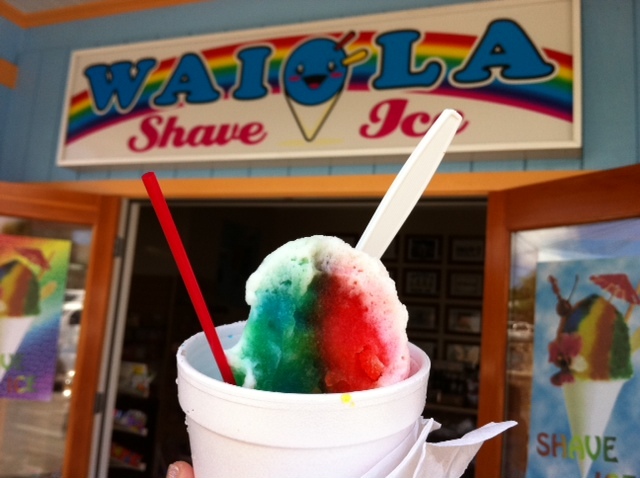 After a short stint at the beach this afternoon, I took my cousin to Waiola Shave Ice, where we split a large rainbow-flavored shave ice with ice cream on the bottom, topped with condensed milk. The more I come to Waiola, the more I am convinced that this place is even better than Matsumoto’s on the North Shore (and I *love* me some Matsumoto’s). p.s. How cute is my cousin?